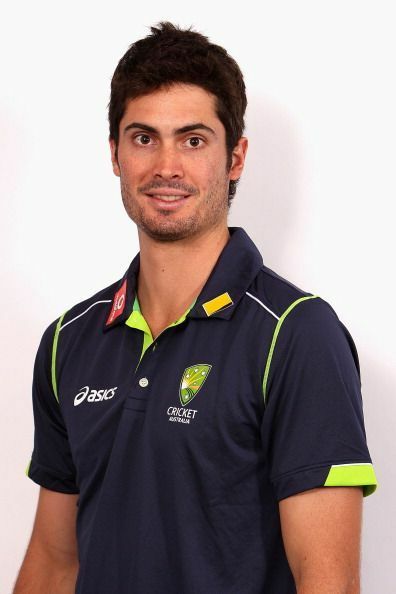 Benjamin Colin James Cutting is an Australian all-round cricketer, born on 30 January 1987 in Queensland, Australia. Cutting currently plays for Brisbane Heat in the Big Bash League and for Queensland in the First-class matches. Ben Cutting made his first-class cricket debut for Queensland against Tasmania in October 2007 and took three wickets including that of Michael Di Venuto. In the next season, he took 46 wickets at an average of 23.91 and became the leading wicket taker, making way for an international debut. On 13 January 2013 Cutting made his ODI debut against Sri Lanka at the Adelaide. He made 27 runs and took a wicket. His T20I debut came a fortnight later against the same opposition at Sydney. Sri Lanka won on both the occasions. Ben has played a lot of cricket for Queensland. His pacy bouncers and lower order knocks have made him a valuable all-rounder for the Queensland team. He got his maiden first class century against South Australia when he scored 109 off just 78 balls. He has played 51 matches in the first-class cricket and has amassed 1561 runs and taken 170 wickets. Owing to his height, Cutting generates tremendous bounce and often surprises the batsman with a faster delivery. Cutting joined Rajasthan Royals in the Indian Premier League in 2014 for a big money deal. He returned to the Indian Premier League (IPL) in 2016 with Sunrisers Hyderabad and is currently with Mumbai Indians for the 2018 season of IPL. Cutting was named in a World XI side to play three Twenty20 International matches against Pakistan in the 2017 Independence Cup in Lahore. He was joined by team mates Tim Paine and George Bailey. Even though he broke on the international stage a bit late, Cutting’s career has been plagued by injuries, barring a regular international stint for the Australian.